Guests were given white leather envelopes by Delvaux, to make Veronique Branquinho's appointment as the Belgian leather goods label's artistic directorl. 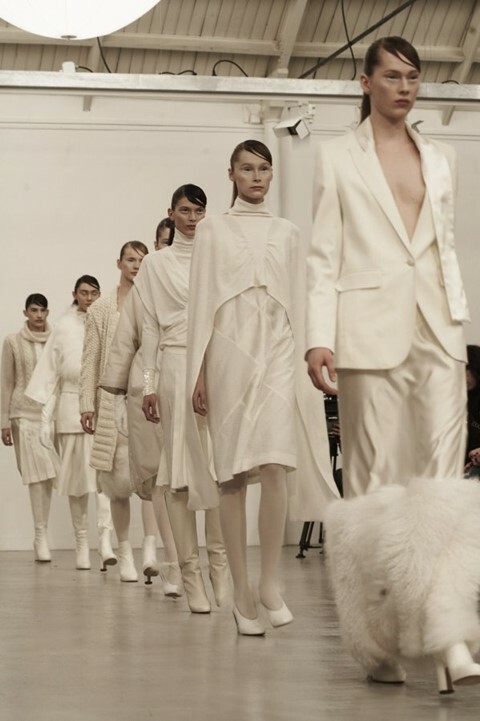 The collection was made up with a variety of knitwear in ivory and white. Photography by Vito Flammino.